We are very proud to announce that Hi Mountain Lookout staffer Marcelle Bakula has been named as Cambria California's Citizen of the Year! Marcelle Bakula has been a volunteer since with the Lookout Project since 2004, and has become the driving force behind our fundraising and volunteer training efforts. Marcelle helps keep the Lookout open to the public (during spring and fall) in order to educate visitors and provide tracking data. 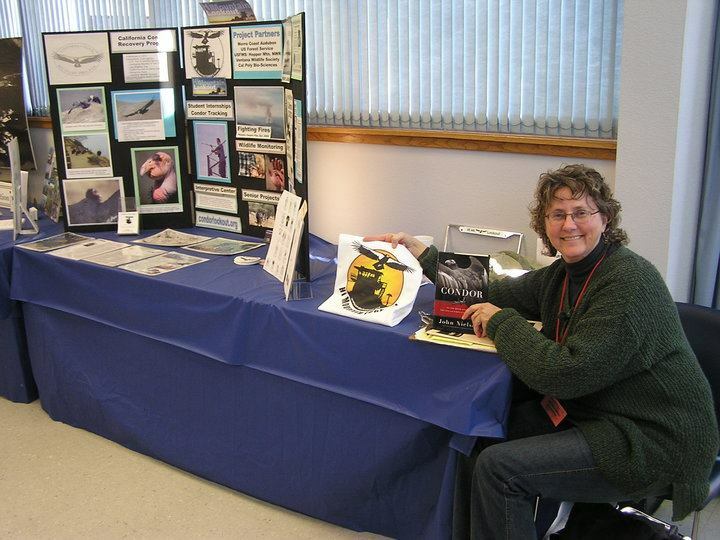 She also helps with the Annual Open House, Winter Bird Festivals, and all kinds of other public outreach. "The Cambria Chamber of Commerce has selected Marcelle Bakula as the town’s 2013 Citizen of the Year. She was among three candidates recommended by a group of previous Citizens of the Year. The chamber board made the final decision. Bakula is an inveterate volunteer and ultimate organizer who leads and coordinates all sorts of events, from art auctions to wildlife care, from the historical society bookstore to a classic bicycle race and other events." You can read the entire article at the Tribune website here. Congratulations Marcelle, and thanks for all you do!